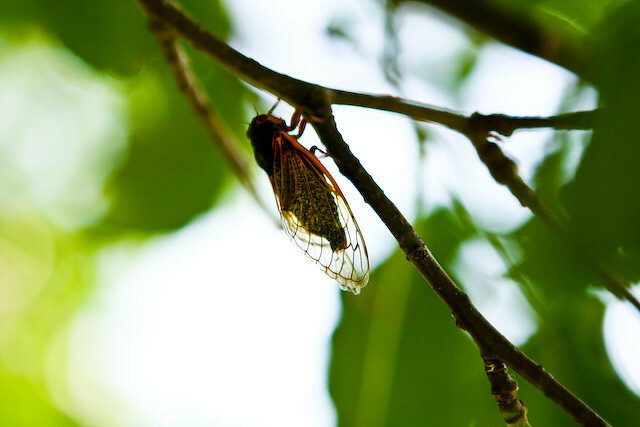 My sister Kelsey asked me the other day to take pictures of the cicadas since she hadn't seen them since the last time they came 13 years ago. If you don't live in Nashville, you may have no idea what I'm talking about (or do you?). 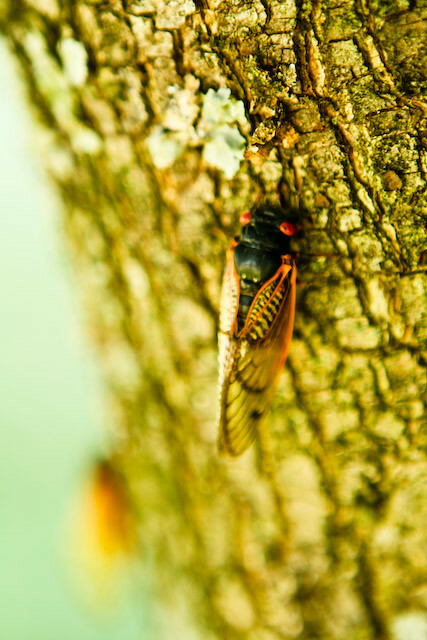 In the last few weeks, we've been deluged by swarms of these little creatures with red eyes. Actually, they're not so little. They're loud, they're large, they're blind, and they have an affinity for flying straight into your hair and squealing as loud as possible as soon as you step outside. Some people like to freeze them and use them for dog treats. Some dip them in chocolate and eat them. Mmm crunchy! Some are just plain annoyed by them. Some wonder (like me) why Tennessee? Our friend Michael said that as soon as he crossed the state line from Georgia, he heard them so loud he thought something was wrong with his car. The rumors are abundant about them... including one I heard yesterday that if you find one with blue eyes, Vanderbilt will pay you $25,000. Haha I wish! Thankfully, they only come out once every 13 years! The rest of that time they spend in the roots of trees. Praise the Lord for that! You asked for pictures and I found the nearest Bradford pear tree, stood right under it, and endured about 3 of them flying straight into my hair... just for you. :) I hope you feel the love. 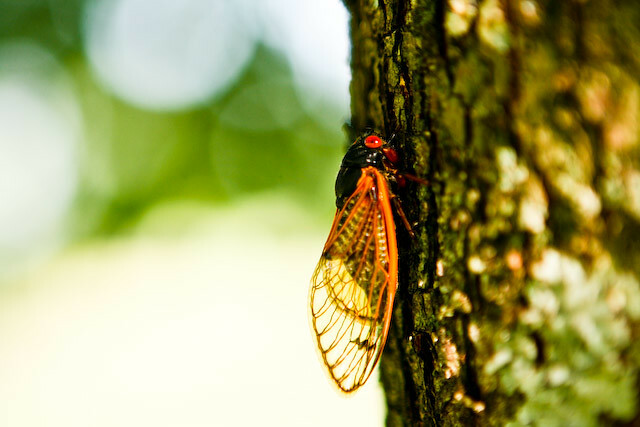 When you tell the Lord today what you're grateful for, you should add "that I live in Israel during the year of the cicadas." you made those horrible bugs look so lovely! I have seen a few pictures of their season, but I appreciated and learned so much more from your beautiful photos and fun facts!